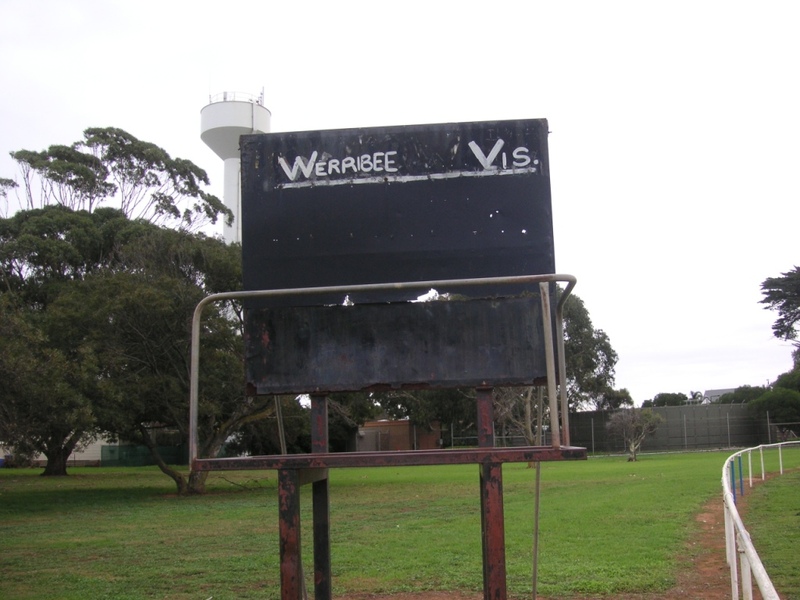 There have been major renovations to the Werribee South scoreboard. Back in 2010 it had a black and white paint scheme. And some rust. 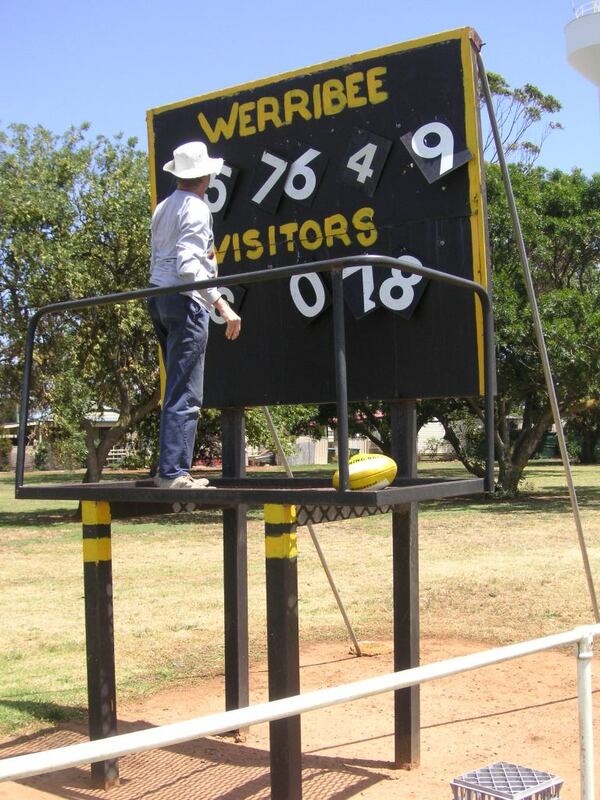 Now the Price Reserve scoreboard is yellow and black. And the sky is blue. 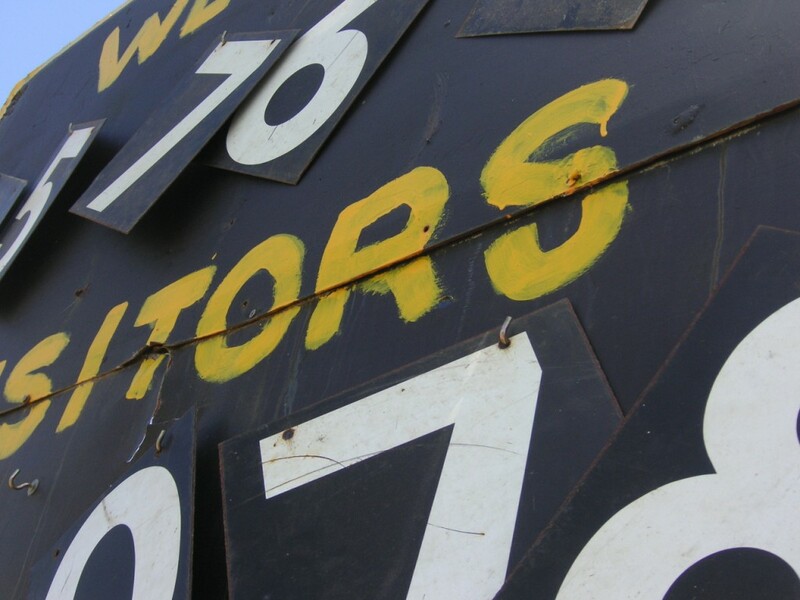 A forensic examination of brush strokes and fonts is hoping to establish if the same signwriter was contracted for the refurbishment. 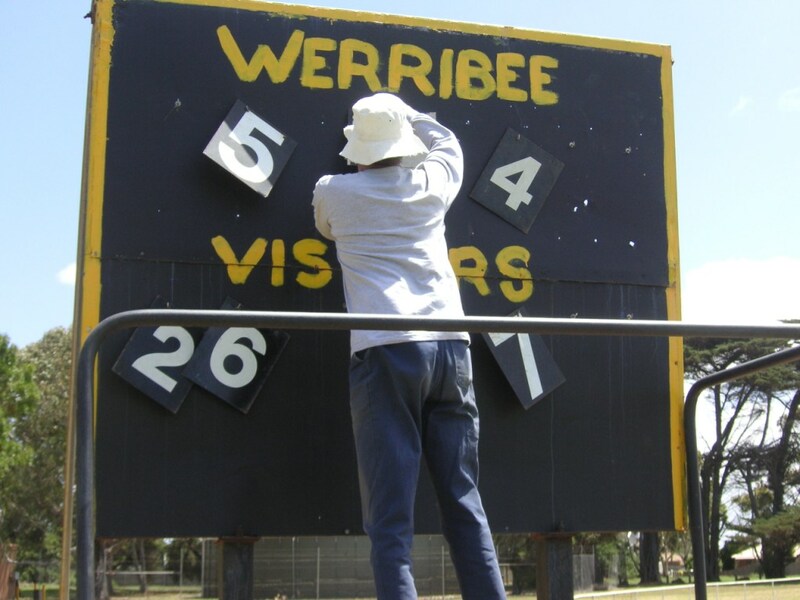 The Scoreboard Phantom added some ill-fitting numbers (from the ghost of the Williamstown scoreboard) to mark the visit. A yellow footy was handy in highlighting the new paint job. Note that the renovations did not extend to including a ladder. Hence the milk crate from the cricket nets. 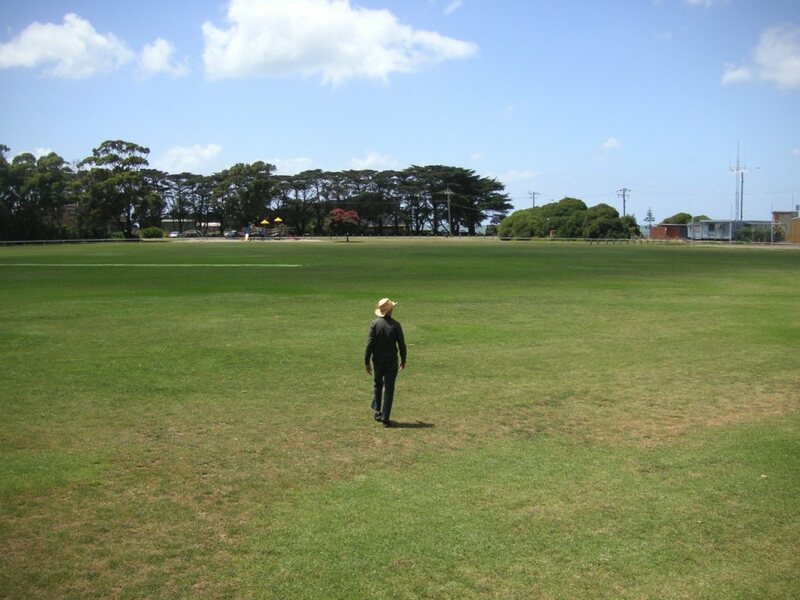 Photographs taken, the Phantom’s Assistant – suspected to be a local broccoli farmer – strolls away, leaving as mysteriously as he arrived. 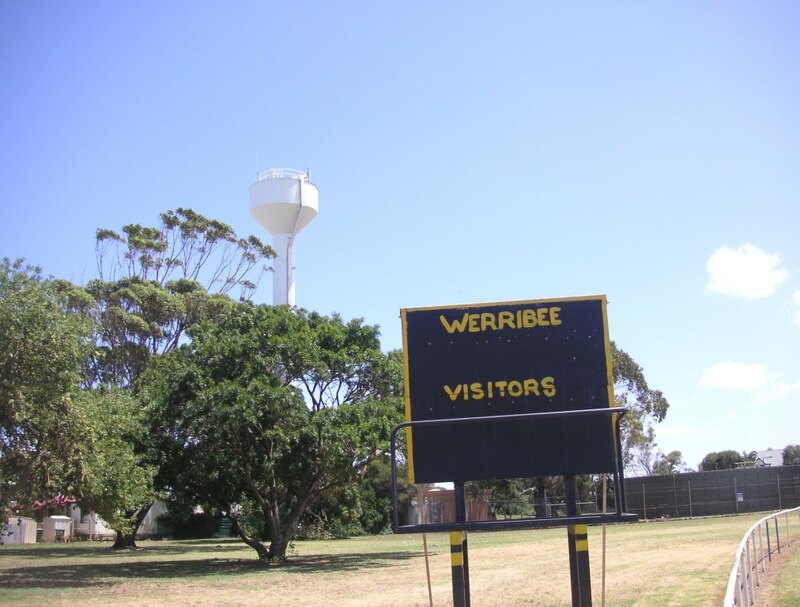 Where the heck is Werribee South?